The Tata Harrier SUV is going to launch in India during the month of January 2019. Bookings for this premium SUV is going to commence starting next weak. Tata Motors is soon going to launch an all-new premium SUV in the Indian market. This new 4×4 will be based on the H5X concept which we all saw at the 2018 Auto Expo. Tata Motors has already revealed that it is going to be called as the Harrier. And since the last couple of months, the homegrown automaker has been releasing a number of teasers highlighting one or the other parameter of this SUV. 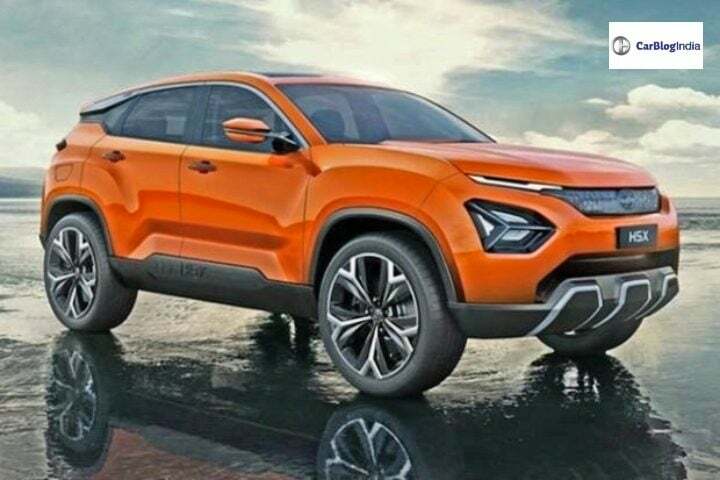 Going by a recently leaked information, the Tata Harrier (Read More) is going to launch in India during the month of January 2019. Tata Motors is going to then use the Harrier as the lead vehicle at the Mumbai Marathon set to happen during the same month. Now, recently published report states that Tata Motors is going to start the official bookings for the Harrier on the 15th of October i.e. next weak. Tata Harrier bookings will take place across all Tata Motors dealerships across the country. Interested customer will be able to book this SUV starting next weak at a token amount of INR 30,000. The report further states that Tata Motors is going to set-up separate zones for displaying the Harrier in its dealerships. Not only this, but the company has already commenced training select personnel for servicing the Harrier. The Tata Harrier is essentially going to be a flagship product for Tata Motors in India. It uses the company’s new Omega architecture which is based on Land Rover’s D8 platform. Recently, the homegrown automaker revealed that the Tata Harrier will use an all-new 2.0-litre Kryotec diesel engine. This oil-burner is going to get an electric variable geometry turbocharger and generate 140 BHP. At the time of its launch in January 2019, the Tata Harrier make its debut in a 5-seater guise. Recent developments suggest that the company is also working on a 7-seater iteration of this SUV as well. The same is also going to get the 2.0-litre diesel engine. However, its power figure is going to stand at 170 BHP. As standard, this SUV will get a 6-speed manual transmission. However, there will be a 6-speed automatic gearbox on offer as well. Interestingly, this automatic gearbox has been sourced from Hyundai. The Tata Nexon recently showcased an exceptional performance in the Global NCAP crash tests. We expect a similarly stellar performance from the Harrier as well. As standard, it is going to get dual-airbags and ABS along with EBD and ISOFIX child seat mounts. Higher variants are likely to employ side and curtain airbags as well. In addition to this, Hill assist, Hill Descent, electronic stability control might also make the list. Being a flagship product, the Tata Harrier is likely to get an abundance of features onboard. Going by some recent spy shots, we have come to know that this SUV is going to feature a floating touch-screen infotainment system. Not only this, but the Harrier is also going to offer a digital instrument cluster as well. We believe that Tata Motors is going to price the Harrier SUV somewhere in-between the range of INR 15 lakh to INR 20 lakh. With this price tag, this SUV will stand right in the middle of the playing field with the likes of Mahindra XUV500, Hyundai Tucson and the Jeep Compass.